May is here, and with all the April showers we’ve seen this year we are sure to see a lot of flowers appearing soon. Beautiful gardens and thoughtful landscaping can enhance your property’s curb appeal and make spending time outside more enjoyable, but not everyone has a green thumb! We’ve collected some helpful tips for those who might need a little help. Decide what kind of plants you want to grow; Flowers? Herbs? Vegetables? A mix? You should also consider whether you want to grow annuals, perennials, or a mix of both. Decide where you want your garden to go, how big you want it to be, and how many plants you want to have in it. As part of the planning process you should check your soil’s drainage and quality if you can, so you will know if you need to make any adjustments. Make sure your garden will get about six full hours of sun per day, the optimum for plant growth. Decide what varieties of plants you want to grow, and find out the growing conditions each needs. Some plants can be planted earlier or later in the year, or need a certain amount of shade. You should take all these things into account when planning your garden. If you want to plant your garden where you currently have grass, but don’t want to dig up the sod, you can put down five or so layers of newspaper over the section you want to plant. This will kill the grass in the area and start converting it into fertilizer. This will take a few months to work though, so you will need to plan ahead. Before you plant anything, add fertilizer to the soil. This can include composted dirt or solid fertilized, but make sure to mix it into the soil well. You will also want to break up the soil a bit for the plant’s roots, but not too much. If you are in a rush you can start sprouting seeds in your home, or buy plants that have already been sprouted. This way your plants will already be growing when you put them in the ground. No matter whether you are planting seeds or seedlings, make sure you read the instructions on how far enough the plants need to be and how deep to plant them. Make sure to water plants right after planting them, and regularly afterwards. Plants need more water when they are first growing than at any other time, but make sure not to drown them. Be sure to water regularly, preferably early in the morning to avoid evaporation. Try to water the soil and not the leaves, as wet leaves can lead to fungus infestations. Patrol your garden regularly for weeds and pests, and make sure to get rid of any you see as quickly as possible. The longer a weed grows or a pest gnaws, the harder they will be to get rid of and the more damage they will do. Keep your plants trim. Removing dead flowers, regularly picking fruits and vegetables, and removing blossoms before they seed (unless you want to keep the seeds) will help your plants conserve energy and encourage more growth. There is a lot more to learn about gardening, but these tips should help you on your way. 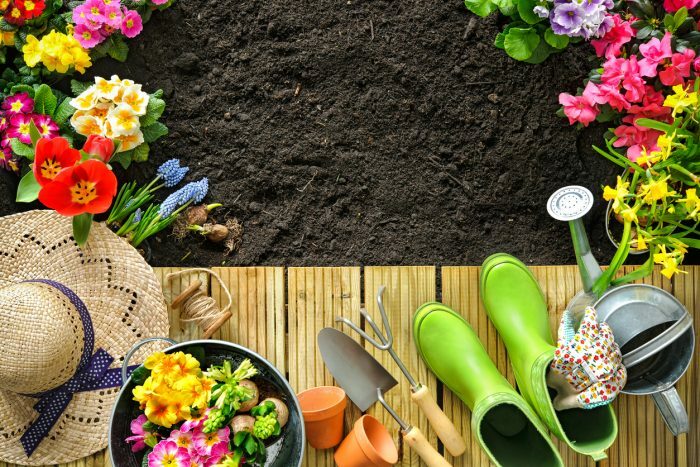 The post Spring Gardening 101 appeared first on Team Realty.